Ecommerce is totally changing the way people buy and sell things. Instead of having to limit your search to your immediate area, it’s now possible to purchase goods from around the globe. This is an obvious fit for goods like cosmetics, apparel, books or electronics. However, some things don’t travel easily. Heavy items like furniture falls into this second category. No matter how you look at it, furniture can be a pain to ship. Therefore, it’s a good idea to study how to sell heavy goods online. Before you get too intimidated, check to see if your package is too heavy for standard ground shipping. The United States Postal Service has the lowest limits on package size and weight. They won’t take any package heavier than 70 pounds or measuring more than 130 inches around. UPS and FedEx offer much higher weight limits and moderately higher size limits. Both companies will ship items up to 150 pounds or 165 inches around the box. If your shipments exceed these restrictions, you need to find another option. This means you’ll probably have to do a freight shipment. For people trying to learn how to start a furniture store, or how to sell machinery online, this is extremely pertinent. Most pieces of large furniture are going to weigh over 150 pounds. 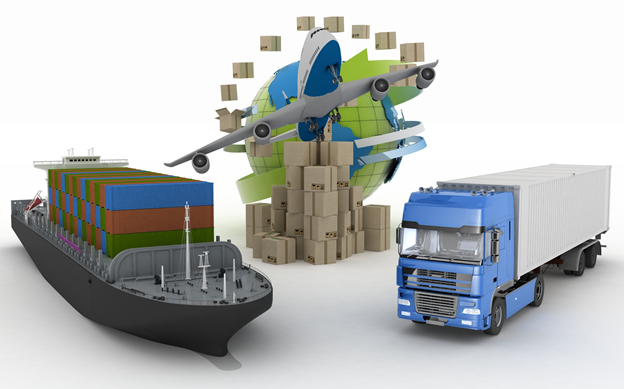 Freight shipping can be extremely expensive depending on the size and destination. Determine who’s paying for shipping costs ahead of time. It’s also a good idea to get an estimate beforehand. This will help you ensure you don’t end up having to cover extra costs for a shipment that ends up being more than you anticipated. It’s important to note free shipping is one of the top enticements for online shoppers. Consider this in your pricing models, as it can sometimes motivate sales if free shipping kicks in after a certain spend threshold. Once you’ve determined you need to freight ship an item, you need to know how to properly package it. This process is a lot more complicated than just putting something in a box and dropping it off somewhere. First, you will want to totally wrap up the item—whether it’s a couch, piano, or statue. It’s going to be exposed to dirty warehouse environments. If you fail to envelop the item in plastic wrap, it will likely be tarnished by the time it arrives at its destination. You will then need to attach the item to a palette, which will be lifted by forklifts. If you don’t use a palette, you’re risking damage to your merchandise. Once the item is firmly in place on the palette, add as much extra protection as possible before encasing the item with cardboard or wood. Insurance varies depending on delivery service. Most of the larger carriers insure items for their stated value. However, this isn’t always the case with smaller, or regional delivery services. You need to make sure you understand what will happen if your product is damaged or destroyed while in transit. Without insurance, it’s possible that you will end up having to foot the bill. This isn’t the ideal scenario. Most people want delivery of heavier items. You are going to lose a lot of customers from outside your immediate area if you don’t offer it. However, for certain situations, it might not make sense to offer any kind of shipping option. Just make sure this is made clear before someone decides to purchase one of your items. Ecommerce is made more complicated when the goods being sold are heavy. However, there are ways for store owners to accommodate for this hindrance.